Sprint Cup: Back to the Old Tony Stewart. 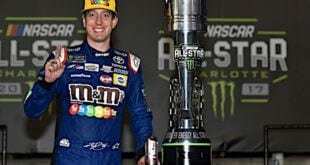 As they say, where there’s smoke, there’s fire – As Tony Stewart was collected in a crash in Saturday’s Sprint All-Star Race, the veteran driver making his final appearance in the non-points event gave the NASCAR world another piece of stimulating commentary on his way out the door at Charlotte Motor Speedway. Out of all the comments made from that 113-lap on-track puzzle, Stewart’s was once again the most stimulating. Out of all the sound bites – and there were plenty, Stewart’s was the most raw. Direct, truthful and colorfully genuine. It’s the Stewart we all will miss come 2017. Without surprise, once someone gets taken out in a crash not of their doing, they’re going to be a little salty in the following moments. From the manner in which the Lap 24 accident took place, Stewart was simply in the wrong place at the wrong time. Despite a last-place finish in his final All-Star Race, the night didn’t come and go without a few bright spots. Just one day following his 45th birthday, Stewart was greeted with a “Thank You Tony” painting on the backstretch of the racetrack. The driver of the No. 14 car even gave the command to start engines from inside his car Saturday evening, showing his emotional side as his eyes watered up. Speedway in Oct. 2014, driving for Go Fas Racing. The following year, the company was featured on Koch’s No. 8 car for TriStar Motorsports for 24 XFINITY Series events. 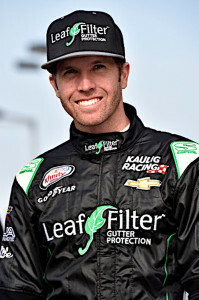 When Kaulig, a former quarterback for the University of Akron, decided to form his own team this season, Koch left TriStar to join forces with his sponsor and now team owner. 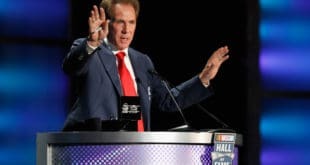 The team maintains a technical alliance with Richard Childress Racing. 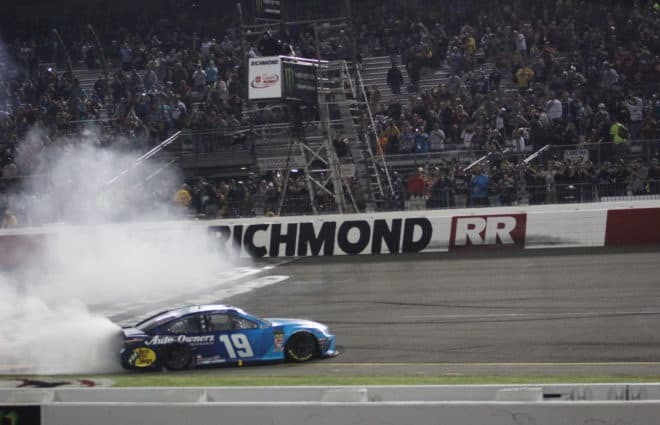 The first 10 events for Kaulig Racing have produced respectable results for a brand new team. Koch got off to a great start at Daytona by finishing ninth, his first career top 10. The team picked up its second top 10 at Richmond, but that race came on the heels of two finishes outside the top 30 at Texas and Bristol. Following last weekend’s race at Dover, Koch is 13th in points, just 10 markers outside the Chase cutoff. Truck Series: Matt Crafton Earns Second Straight Win for Thorsport – For the first time in his 16th full-time season, Thorsport Racing’s Matt Crafton earned back-to-back victories. 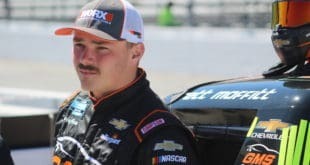 The two-time Truck Series champion is coming off a year that saw a career-high six victories, but a result of third in the standings. Returning to the site of Crafton’s first career triumph in 2008, he led 47 laps en route to Victory Lane after the 200-mile race was postponed to Saturday afternoon. Holding off Kyle Busch after a late-race pit stop, Crafton continues to sit atop the standings ahead of Red Horse Racing’s Timothy Peters, who finished seventh at Charlotte. NHRA: Second Verse Same As The First – Perhaps more specifically, it’s eighth verse same as the seventh, as all three Pro category winners from last week repeated in Topeka at the NHRA Kansas Nationals this weekend. For Top Fuel winner Doug Kalitta, he earned his third win a row, the first time he has accomplished such a feat in his career. Kalitta faced off against Antron Brown in the finals, a race that turned into a pedalfest with Kalitta getting completely sideways and appearing to practically power slide his Top Fueler down the track to win with a 5.452-second, 238.85 mph run. Perhaps Kalitta, a former USAC Sprint Car champion, called on his dirt track days to pull that one off. Kalitta also defeated Rob Passey, Clay Millican and Steve Torrence to advance to the final round. He now leads Brown by 95 points in the Top Fuel standings. The Funny Car final also turned into a pedalfest, with Matt Hagan and Fast Jack Beckman both having to fight unruly cars. Hagan wrestled his to the finish line first with a 5.724-second, 179.04 mph pass to make it two in a row. Hagan got by Brian Stewart, Robert Hight and Courtney Force in earlier rounds. Pro Stock remains in the firm grasp of KB Racing as teammates Jason Line and Greg Anderson once again squared off in the finals, with the win going to Line with a 6.664-second, 207.85 mph pass to Anderson’s 6.687-second, 207.02 mph effort. This is the fifth win of the season for Line, his first in Topeka, a track he’s struggled with in the past. Line also beat Mark Hogan, Erica Enders and Shane Gray before meeting up with Anderson in the finals. 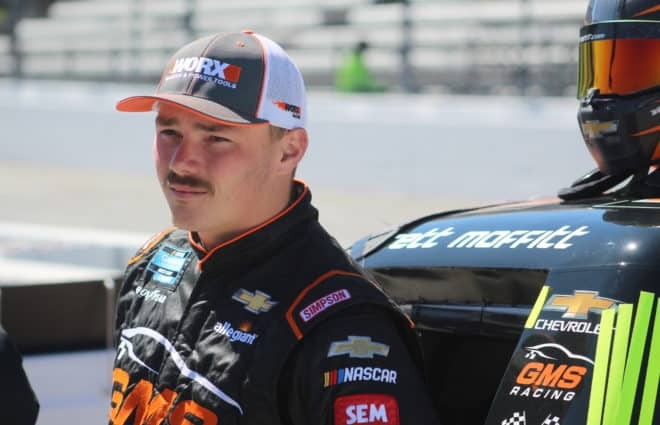 Whelen Modified Tour: Timmy Solomito and Justin Bonsignore Attempting to Stop Doug Coby – With a break until the 125-lap contest at Stafford Motor Speedway, the Whelen Modified Tour field has a few weeks to regroup after three races in just over a month. After Round 3 at New London-Waterford Speedbowl last week, three-time champion Doug C0by is back on top of the standings. Coby, who won at Stafford, leading 193 of 200 laps in the process, is the only driver to finish in the top 10 in each race this season. His No. 2 car is picking up from where it left off last year, when he claimed the title with three straight wins to close the season. However, Coby has two new contenders to deal with this year. 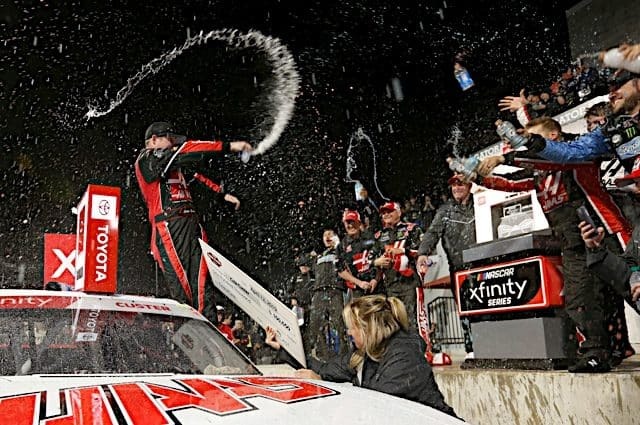 With Ryan Preece running in the XFINITY Series full-time, his biggest threat for a championship no longer runs on the Tour full-time. Instead, Timmy Solomito, who replaced Preece in the No. 16 car for Flamingo Motorsports, is entering his second year with the team and won the season-opener at Thompson Motorsports Park. Solomito sits eight points behind Coby for the championship lead, and besides an inconsistent weekend at Waterford, is off to a strong start in 2016. 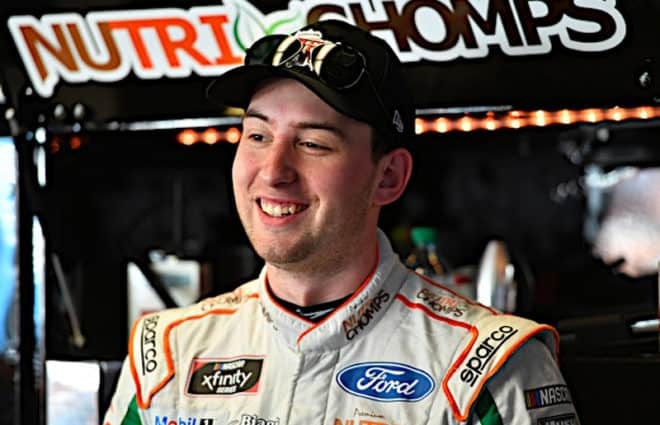 Sports Cars: Patrick Long goes from without a Ride to Victory Lane – Two weeks ago, we reported on EFFORT Racing curtailing their two-car campaign in Pirelli World Challenge due to low oil prices sapping their funding. Patrick Long and Michael Lewis were left without rides despite both drivers having won races this year. While Lewis is still looking for a replacement opportunity, Long inked a deal last week that will see him race the rest of the season in the No. 58 Porsche 911 GT3-R for Wright Motorsports as part of a new two-car effort. Wright Motorsports is a team that fields Porsches in a number of divisions, such as the IMSA Porsche GT3 Challenge Cup. They have competed in IMSA (and before that, Grand-Am) in the past, but withdrew after Watkins Glen last season due to a lack of funding. With Long in the No. 58 and Michael Scheid in the No. 16 Porsche in the GTA subclass, Wright Motorsports was unbeatable all weekend. Long won the pole for race No. 1 on Friday, then led every lap and set the fastest lap of the race on the way to victory. Setting the fastest lap gave Long the pole for race No. 2. There, Long again led every lap on the way to the weekend sweep. In the GTA subclass, Scheid matched Long’s stats to wrap up a weekend sweep for the Ohio-based team. After a year of anticipation, the starting grid for the 100th edition of “The Greatest Spectacle in Racing has been set. James Hinchcliffe led the way for Honda and Sam Schmidt Motorsports to claim an emotional pole for the sellout race, beating out Chevrolet’s Josef Newgarden and three Andretti Autosport teammates. While Hinchcliffe was waiting for his session-closing effort, many stories broke out throughout the Verizon IndyCar Series field during the session. 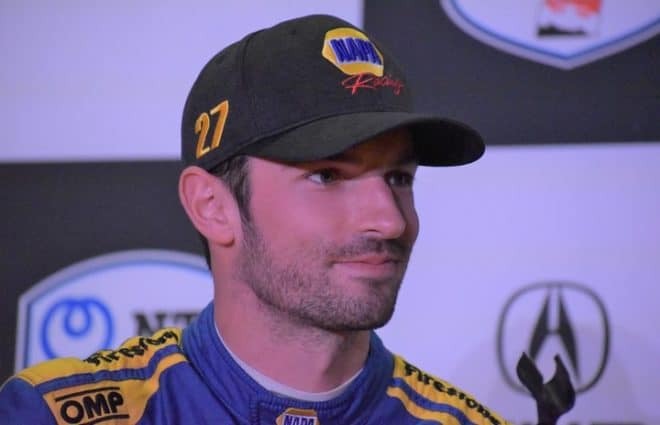 A bad Month of May continued for Alex Tagliani, who crashed on his attempt, and defending Indy 500 winner Juan Pablo Montoya required a mulligan of sorts after running over a trash bag to slot in 17th.